How Homeopathy effective in treating Sinus? Most of the people often mistake Sinusitis, as a common cold, while, a common cold is a problem of upper respiratory system whereas Sinusitis refers to the swelling or inflammation of Sinuses. Unknowingly, individuals ignore their Sinus problems, considering them as a common cold problem, which results in various complications. 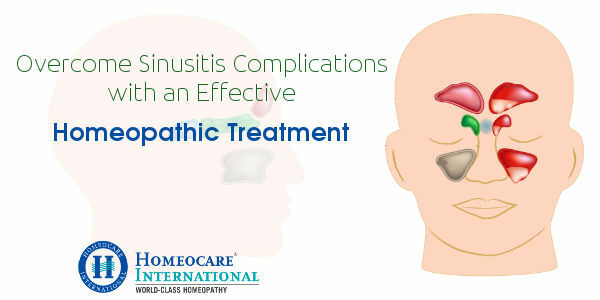 With proper Sinus Treatment In Homeopathy, the complications and effects can be reduced and even control completely. 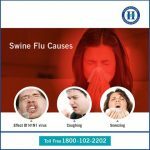 If an individual is a regular victim from Sinusitis, then he or she will surely lookout for any Sinus treatment that ensures complete relief. Basically, Sinusitis is an inflammation of nasal Sinuses or cavities that causes intolerable discomfort to the patient. The Sinuses are situated behind nose, eyes, cheekbones and forehead. The main causes of Sinus infection are cold, headache, congestion and ear infection. There are various Sinus treatments that can be followed alongside the regular medications. However, Homeopathy Treatment for Sinus has no side effects and results in Sinus Cure. In the recent times, the Sinusitis has become most common problem among various individuals. Especially, in the United States, over 30 million populaces are diagnosed with Sinusitis every year. Furthermore, chronic Sinusitis affects around 15% of the U.S. populace and is has become one of the most common chronic diseases in United States. The inflammation of lining of nose and Sinuses is called as Sinusitis and it is a common infection in children, accompanying with a cold. Allergic Sinusitis can accompany allergies like hay fever. Bacterial Sinusitis is another infection caused by trapping of bacteria in the Sinuses in the path of an allergy or cold. Symptoms of chronic Sinusitis & allergies or cold may be similar; however there are few differences between them that help in determining which one you have. The main difference between symptoms of a cold or allergies & Sinus infection is how long they remain. According to the specialists cold sufferers usually have runny nose for a period of two to three days, after that by a stuffy nose for a period of two to three days. Following which, most of them begin to feel better, whereas a Sinus infection will hang for a period of seven days or more. Fever may also be one of the signals a bacterial infection. Sinus problems are sometimes accompanied by low-grade fever, whereas colds usually are not. Other viruses like flu also cause fevers. The colour of nasal discharge is another possibly signs. Unlike colds, which produce clear mucus, bacterial infections can lead to greenish or yellow mucus. Presumably, there is no reason that why some individuals Sinus problems are in seen. However, some individuals have nasal polyps or other problems, subsuming allergies, which elevate the risk of chronic Sinus problems. How Homeopathy treatment helps sinusitis? Homeopathic treatment for Sinus is fast acting and effective one. The Sinus Treatment in Homeopathy not only drains the Sinuses & kills its germs but also acts on the root cause of the disease and prevents its cause. If you are prone to regular Sinusitis, Homeopathic Treatment for Sinus would be very effective in combating the issue. Homeopathy treatment for Sinus problems treats acute infections & the tendency to have allergy or infections. Homeocare International is the one stop destination for all sort of chronic and acute ailments. At Homeocare International, top minds work together in resolving the patients conditions. Homeopathy treatment for Sinus problems provided at Homeocare International not only controls the Sinus, but also gives long lasting relief without side effects. How to Differentiate Migraine and Sinus Headache? I experienced runny nose sneezing, dryness and itchy eyes. It is very difficult to face. I don’t know how to cure this. Please help me anyone. I would like to say thank you for the wonderful article. Above Agrawala Sweets, Opp to Metro Pillar No 18, S.P. Road, Begumpet, Hyderabad, Telangana 500003 Telangana, INDIA. Homeocare | Homeocares | Homeocare Elite | Online Homeocare | Infertility | Dr Morlawars | ©2018 Homeocare International Pvt. Ltd. All rights reserved.